The fall is a truly beautiful time of year, but quickly is the season progressing. From crunching through burnished fallen leaves and luxuriating in the season of mists and mellow fruitfulness, the year is whirling on to the sharper bite of winter. The chill air combined with smoke from chimneys problematic in a multitude of ways for those with sinus and respiratory problems. You want your children to enjoy winter in that nostalgic way you now view your own enjoyment had as a child – crisp morning walks to school, shoes or boots speckled with frost (gloves too), afternoons skating on ice and avoiding homework, and free weekends sledding downhill in a timeless blur, all surrounded by excited exhalations condensed on the air, and all capped off warming yourself by a fireside. In order to keep winter a season of wonder, there are some simple steps you can take to keep everyone healthy this year, from young to old. Contrary to popular belief that pollen-dense spring and summer are the key seasonal culprits when it comes to sinus problems and allergies, winter is the quieter cause, as indoor heating systems and outer cold and damp combine to create some quite painful issues. Sinus problems are common at this time of year, and symptoms include headaches, congestion, a runny nose, inflammation, a troubling cough, post-nasal drip and even bad breath. Allergies can be the cause of later sinus issues, but most begin with a cold or flu, so the first step in winter health management for all the family is to fight off infection. This doesn’t have to mean a flu shot, either, even though this season is set to be particularly virulent. The trend for eating seasonally has returned over recent years, but this is a tried and tested wisdom passed down through the generations. Why do you think homemade chicken soup works? Why do you think it was that at this time of year your grandparents stocked up on all those root vegetables you made fun of when you were a youngster? Winter is not the time for salads (unless it’s a warm beetroot salad with some ripe, superfood goat’s cheese, perhaps). Potatoes, kale (A, C, and B6 vitamins and more), squash (potassium and fiber), turnip greens (copper, calcium, and too many minerals to mention) – all these are readily available in winter for a reason. Get out those dusty recipe books and literally feed the family its medicine (maybe add in some Echinacea tea and mushrooms, too; though, not together). In addition to staying properly fed, make sure everyone is hydrated, moisturized, and well wrapped up, also. Kids are taught well before elementary school to wash their hands, but today’s grown-ups could remember that sage advice, as well (not every bathroom has a system that flushes only when it’s sink’s taps are running, sadly). Bacteria is rife in daily life and especially on the daily commute – all those hands on the escalator handrail? Simply crawling. Good hygiene is therefore crucial. Rubbing your hands with a soapy lather for at least 30 seconds when dirty, after using the toilet, and before eating, help to make sure that the first line of defense remains strong (it doesn’t have to be surgeon standard, but certainly vigorous). If, however, your fastidiousness comes too late and you and your family get the telltale signs of ensuing illness (the rasping throat, the slight lack of taste, a snuffle nose), then make sure to write yourself a note to change all the toothbrushes once you’re all better, as germs can linger in the bristles for quite some time after. It might start as a tickle, then a bout of sneezing, annoying runniness, and then finally “blocked up” status – you don’t have to be a modern-day Yogi and use a neti pot (or the underwater dip in the salty sea in mid-winter), to clear you of your nose’s problems – as obvious as it might seem, simply blowing your nose regularly helps in the first instance to prevent such congestion. Nonetheless, some germs are more difficult to repel than others, so when a conquering congestion builds to the painful headache level, one way to relieve sinus pressure is through massage of lymphatic pressure points either side of the nose. You want to quite literally drain the sinuses, which have by this point become swollen with stored up mucus, so as not to end up with a sinus infection (very painful and never fun; let alone worrisome given the precarious state of antibiotics this day and age). Another method for clearing your airways is, of course, putting peppermint, eucalyptus, tea tree, or other menthol-type oil (even a spoonful of vapor rub) in a bowl of boiling water and sitting above this with a towel over your head, the steam opening the airways (breaking up that stubborn mucus) in a similar way to the lymphatic massage. With younger ones, just make sure that they don’t put their face too close to the bowl to avoid them being scolded. Unfortunately, there will always be those who do get affected by allergies at this time of year, given that windows are opened less (reducing ventilation) and the resultant stuffiness from heating makes carpets and bedding a nice, warm breeding ground for mites and other pests. Further, that Christmas tree lovingly chopped down for the family to decorate could very well be harboring aggravating mold and those electric heaters are drying out the indoor air, in turn drying out sinuses already dried out by cold outdoor air, and might very well result in always-upsetting nosebleeds. Just as our ancestors did, shake out and air rugs and other materials; unlike our ancestors, invest in a humidifier or two to offset the dry-air effect if electric heating is your only source of warmth this winter. 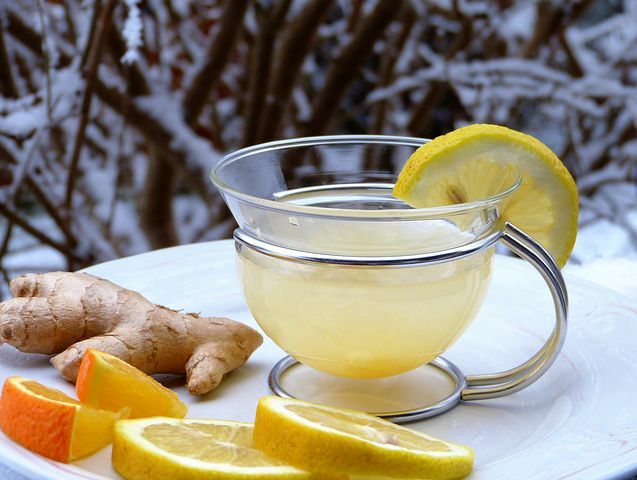 The traditional methods of keeping healthy are the best way to make sure that you avoid winter bugs and illnesses.